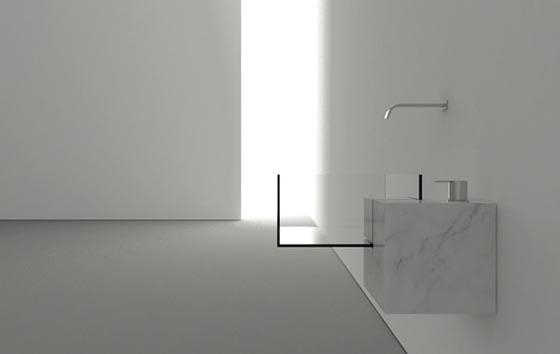 Created by Bulgarian designer Victor Vasilev, this minimalist bathroom sink will attach your attention immdeitely with its almost surreal look. 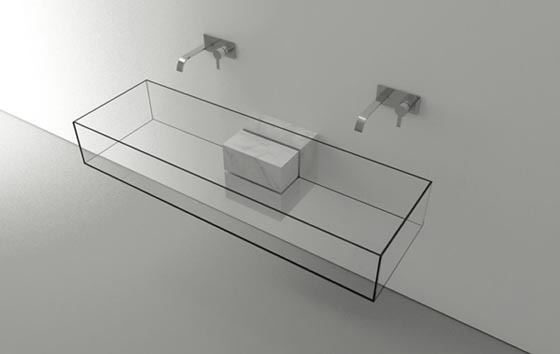 Unlike other bathroom furniture we published on DesignSwan, this design takes away anything that might be considered an excess. 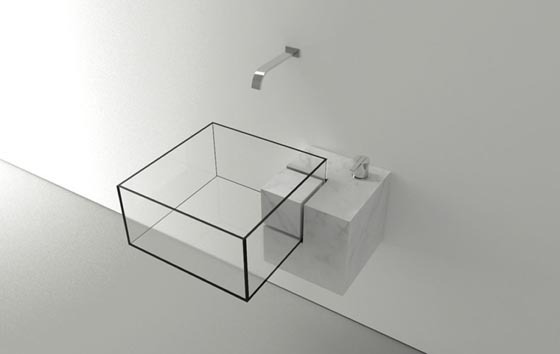 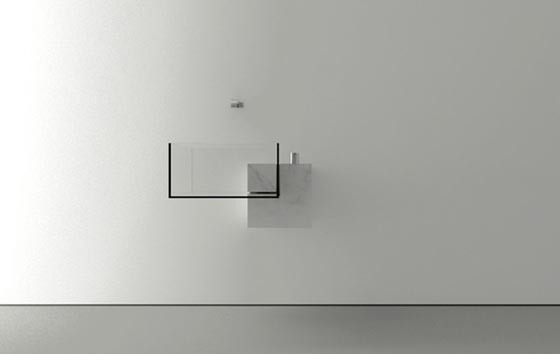 The whole sink is made of glass and connected/suppported by an elegant carrara marble stone. 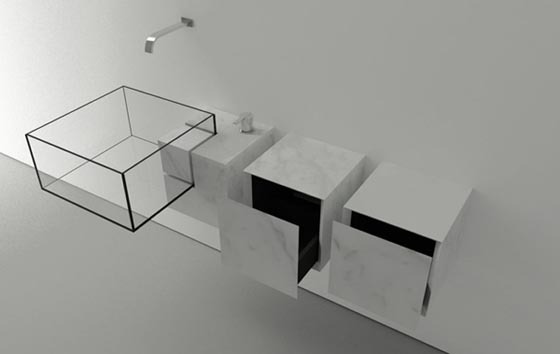 An interesting junction of geometric shapes occurs, which seems to be the basis of the design concept. 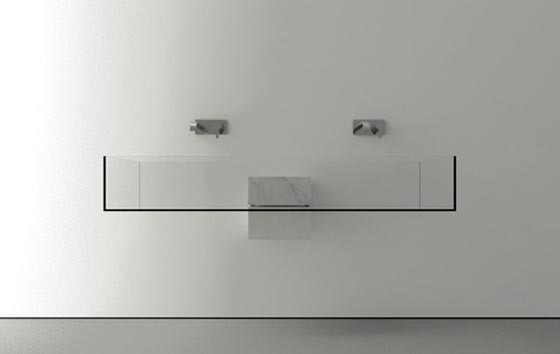 Kub Basin comes with faucets and fittings, their subtle presence being a perfect match for the simplicity design of the sink. 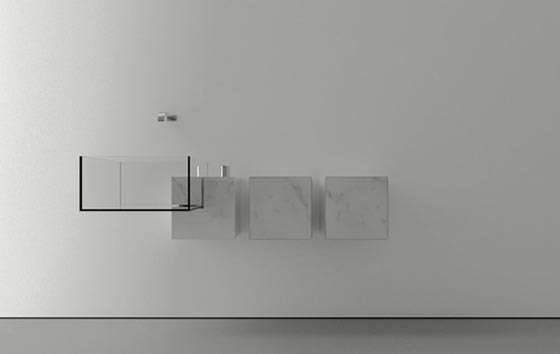 Morevoer, the carrara stone can be cleverly used as storage space and the project is also available in a highly intriguing version for two.